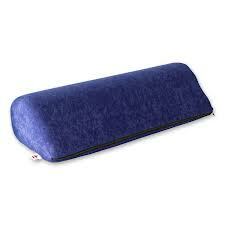 The TearDrop Pillow for Stomach Sleepers is designed especially for people who sleep on their stomach. Many stomach sleepers try to sleep in a different position but have difficulty because their body is used to sleeping in this position. Stomach sleeping can cause neck pain, shoulder pain, and lower back pain. This position also puts un needed pressure on the internal organs.Sleeping on one's stomach can cause neck pain and upper back over time and this type of sleeping position can be difficult to change. 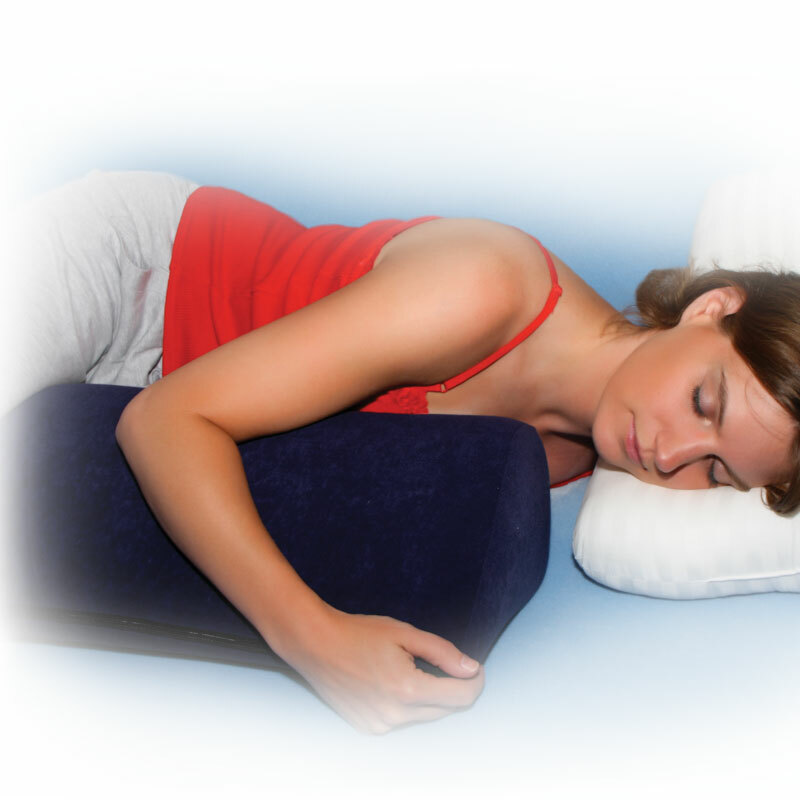 This specialty pillow supports side sleepers and helps stomach sleeprs switch to side sleeping. The Tear Drop Pillow will helps stomach sleepers become side sleepers. Stomach sleepers will still get the stomach pressure warmth and support, just as they would be sleeping if they were sleeping on their stomach. This special TearDrop Pillow can also be used as a leg spacer and as a torso support allowing for proper spinal alignment. Why is Stomach Sleeping Bad For You ? Sleeping on Your Stomach causes undue pressure to be placed on your lower back area and can cause lower back pain and stiffness in the morning. Also, it creates added strain to your neck muscles which can lead to neck pain. How Do you Use the TearDrop Pillow for Stomach Sleepers ? This specialty pillow is very easy to use. It will still feel like you are sleeping on your stomach: You will still feel stomach pressure, warmth and support. 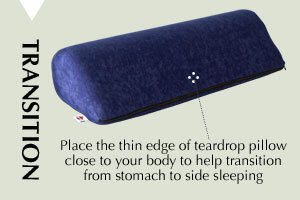 Place the thin edge of the TearDrop Pillow close to your body to help transtion from stomach to side sleeping position. Which Sleeping Position Is Best For You ? Dimensions 6" x 10" x 28"